The next Moonlight Prowl is scheduled for Friday, October 3rd at 8 p.m., and it looks like the weather will be clear and cool! The Moonlight Prowl is a nighttime campus tour packed with anecdotes of student life, campus architecture, and UT history. With content drawn from newspaper accounts and the University Archives, the Prowl is intended to help personalize the University, explore its history, and have some fun. You’ll find more info about the Prowl here. The UT campus of long ago. Proposed campus master plans and what became of them. 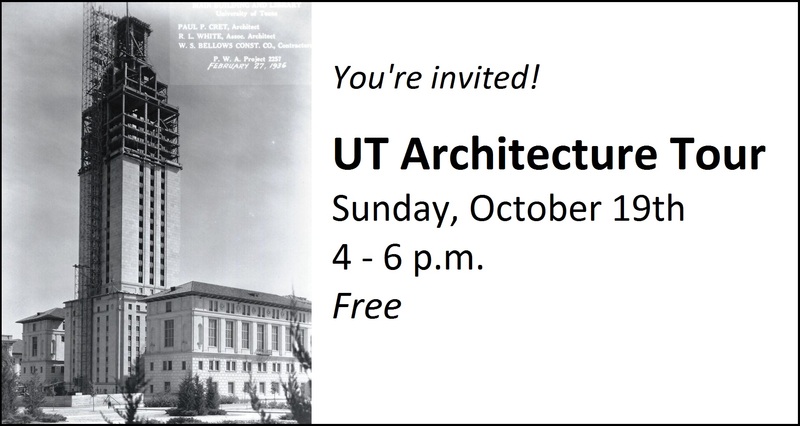 The unique designs and uses of some of UT’s most prominent buildings. Symbolism and meaning of campus landmarks and building decoration. Landscaping on the Forty Acres. Additional information about the tour is here. This entry was posted in Uncategorized and tagged architecture, Jim Nicar, Moonlight, Prowl by jimnicar. Bookmark the permalink.